One of the biggest struggles that the genre of urban crime drama in Hindi cinema faces is the lure of indulging in the superfluous. Ever since the independence, the genre has enjoyed great popularity and acceptance but even with enough realism in the narrative, the market constraints end up dictating terms. Take, for instance, Ram Gopal Varma’s Satya (1998) that came at a time when the popularity of the Bhangra beat in Hindi film music was at its peak and the film includes a shaadi song – ‘Sapne Mein Milti Hai’ (vocals by Asha Bhosle, Suresh Wadkar; music by Vishal Bhardwaj; lyrics by Gulzar) where the otherwise strong Marathi-accented Bhiku Mhatre and his wife (Manoj Bajpayee, Shefali Vaidya) suddenly start singing in chaste Punjabi. 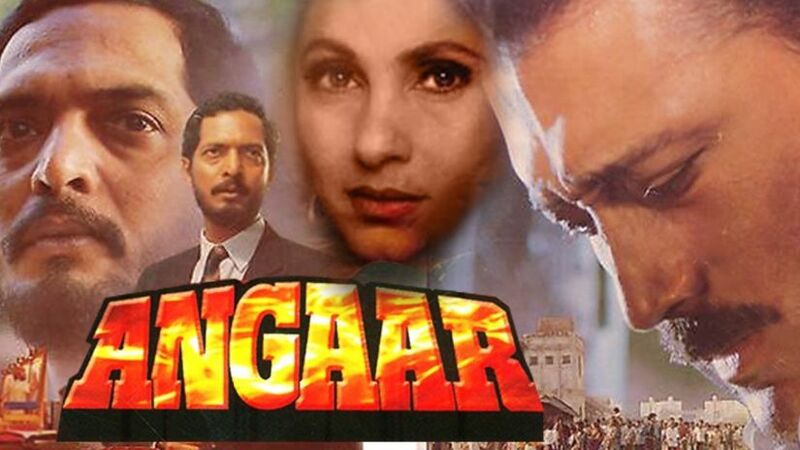 The early years of the same decade, the 1990s, saw one of the best in the urban crime genre, in the form of Angaar (1992), which rather realistically delved into the nexus between politicians and the underworld. Angaar enjoyed critical acclaim for its portrayal of urban crime and despite experiencing a wide range of audience acceptance, it continues to be hidden from popular recall. Jaikishan or Jaggu (Jackie Shroff) lives with his parents (Achyut Potdar and Sulbha Deshpande) in a chawl called Asha Colony. He is unemployed and considered to be a troublemaker but has a heart of gold and often stands up for the underdog. He befriends the homeless Mili (Dimple Kapadia) and is the darling of the neighbourhood. 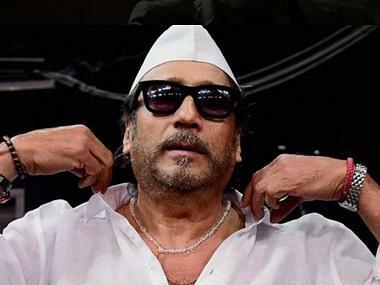 The colony attracts the interest of Majid Khan (Nana Patekar), a builder who also happens to be the estranged son of Jahangir Khan (Kader Khan), the mafia kingpin of the city. Jaggu leads the onslaught against Majid and refuses to budge from the area. Majid tries to buy them out, befriend Jaggu and even scare him but nothing works. When Jahangir gets to know of Majid’s nefarious plans to evict the poor from Asha Colony, he gives his son an earful and promises the residents that he would work something out. Jaggu is convinced that the softhearted don and his hotheaded son are perhaps the two sides of the same coin. He takes on Majid and insults Jahangir, which enrages Farid (Mazhar Khan), the uncouth younger son and Majid’s brother. Farid and Jaggu have an argument and Jaggu kills Farid in self-defense. The heart-broken Jahangir retreats into a shell, leaving Majid in charge. Jaggu is sent to a mental asylum and with him out of the equation, Majid wreaks havoc. Mili, along with her boss, Pervez Hussain (Om Puri), a no-nonsense journalist, tries to wage a lonely battle against the city’s powerful and Jahangir turns to his right-hand man Anwar Khan (Kiran Kumar) to stop Majid. 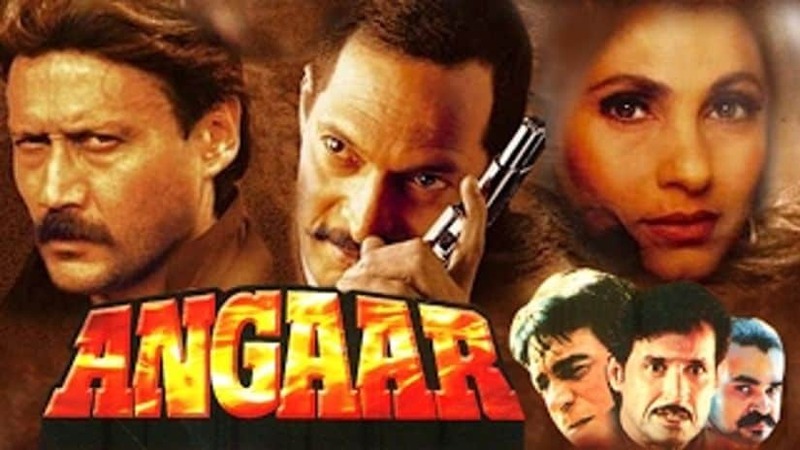 Supposedly based on real-life gangster Karim Lala, the role played by Kader Khan, Angaar has many great moments that made it stand apart from the other crime dramas of the era. The narrative of the film has a multitude of characters and also had more than a handful of parallel plots functioning simultaneously. Usually, at times, such a ploy ends up falling short when it comes to the finale but in the grander scheme of things too, parts of Angaar sum up to make a cohesive tale of urban life. The one thread that contributes the most to blend the elements together right from the journey of the characters, the situations and how things ultimately play out besides Nair’s direction, is Kader Khan’s writing. Khan’s dialogues in Angaar were a slight departure from his usual flourish, as seen in some of his iconic lines that he wrote for Amitabh Bachchan in films such as Amar Akbar Anthony, Muqaddar Ka Sikandar and Laawaris or from his later comic one-liners that were made popular by Govinda in films Coolie No. 1 and Saajan Chale Sasural amongst others. In Angaar, Khan gave the correct timbre to each and every character ranging from the unemployed slum-dweller with a heart of gold Jaggu or to the gangster’s privileged son Majid, who wants to wipe his past clean, or Farid, the younger son who would do anything to keep his family together. Even the characters played by Achyut Potdar or Neena Gupta (she plays Majid’s wife) barely had any lines but even with the few words that they spoke told us everything about them. The film fetched Kader the Filmfare Award for Best Dialogue, besides garnering the Best Villain Award for Nana Patekar and a National Award for Best Special Effects for K Shashilal Nair for his innovative miniature work. Today, Angaar is recalled for the all-around powerful performances pitched in by not just the leads, Jackie Shroff and Nana Patekar, but also Kader Khan, Mazhar Khan, Dimple Kapadia and even Kiran Kumar. In addition to the acting, the cinematography by Ishwar Bidri was also a major contributor in making the film a standout urban crime drama. It would not be incorrect to say that post the mid and late 1980s, where films such as Arjun (1985), Raakh (1989), Parinda (1989), Hathyar (1989) and Shiva (1990) left an indelible impression on the genre, many felt that it would be extremely difficult for a filmmaker to come up with a new lexicon for the urban crime drama. Angaar became one of the last great urban crime dramas. While there were a few like Mahesh Bhatt’s Awaargi (1990) and Bharat Rangachary’s Zulm Ki Hukumat (1992) that also stood out, the genre only received a shot in the arm towards the end of the 1990s when Ram Gopal Varma rewrote the rules with Satya (1998). Angaar also had a few hummable songs composed by Laxmikant-Pyarelal and penned by Anand Bakshi. 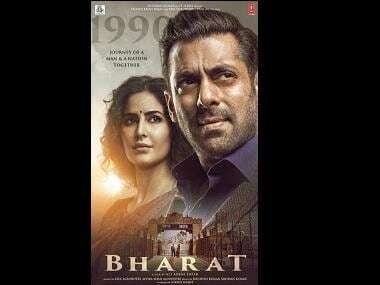 While some of them, especially the item song put up by the chawl members, ‘Idhar Dehko Udhar Dekho’ (vocals by SP Balasubrahmanyam), seems a part of the film, the music generally does not go well with the bleak mood of the film. Could it that the desolation of the lives Angaar talks about be the reason why the film is not revisited as often as it deserves? Perhaps it could also be the sheer power of the hopelessness, which, in many ways was the only takeaway once everything was resolved, that makes Angaar both great cinema and at the same time, heart-wrenching.